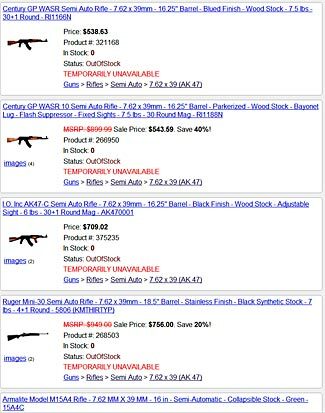 This online gun supply resource shows a steady stream of zeroed out inventories. On December 14, 2012 – some three weeks ago – a crazed gunman killed 20 children and six adults at Sandy Hook Elementary School. It is hard to say which happened most quickly immediately thereafter – calls for the banning of just about all firearms, or people rushing to buy guns and ammunition due to fears they might be banned. The media (which is predominantly anti-gun) has been full of stories, almost every day since then, about soaring gun sales, and within a very few days of the start of the rush on guns, of soaring gun prices and disappearing inventory. It is true there has been an uptick in gun sales. And it is also true that most gun stores have sold almost every gun and spare magazine they have, as well as every round of ammunition. It is also true that there are unknown leadtimes and backlogs for more guns, accessories and ammunition to get through the system and become available. It is also true that prices of guns and ammunition have skyrocketed – more than doubled, sometimes more than tripled. So what has this to do with prepping? To answer that, we first need to correct the media misinformation so we truly understand the current situation. So, let’s pierce the illusion of an apparent ultra-humungous sudden surge in gun sales. Fortunately, we can track what has happened to gun sales through the FBI NICS reporting data – this is the count of calls in to their instant check hotline. All new guns have to be sold through gun dealers and the gun dealer has to get a NICS approval before completing the sale. The NICS count isn’t exactly the same as the total number of guns sold in a month, because sometimes one call to NICS is for a purchase covering multiple firearms being sold to the same person at once. On the other hand, sometimes one transaction requires two or more calls to NICS. And some calls to NICS are for other reasons (some states do NICS checks as part of issuing concealed weapons permits). But these various factors are more or less steady, so that one can more or less say with confidence ‘If the NICS calls are up, so too are gun sales’. In general it seems that the monthly count of NICS calls is somewhat higher than the actual count of new guns sold. You can see the FBI’s NICs stats here. As you can see, the monthly NICS calls have been steadily increasing, and the yearly totals have been going up for the last ten years in a row. More than twice as many NICS calls were made, and probably therefore, more than twice as many new guns were sold in 2012 as were sold in 2002. Increasing gun sales is nothing new, it has been going on even prior to Obama winning his first term. Now look at the numbers for December 2012. 2.78 million, up 39% on November 2012. But – a 39% increase? Excuse us for being underwhelmed, but that is all? That’s sure not what you’d think from all the newspaper reports of mass panic and huge increases in guns being sold. To read the media stories, you’d think that gun sales had increased ten fold or twenty fold. But no – they didn’t even manage to double. Furthermore, it is common for December sales to be up on November sales, anyway (hello, Christmas!). Last year, December sales were 21% up on November’s sales for no specific reason at all, the year before they were up 17% and the year before they were up 15%. So between 15 – 20% of the 39% increase was something everyone sort of expected might occur anyway – the actual extra and unexpected increase is maybe only 25%. So what is this telling us – a mere 25% increase in gun sales, over and above what was more or less expected anyway, is enough to totally destroy the gun sales marketplace? It seems that just about every new gun in the country has been sold, and gun prices have doubled and even tripled, with waiting lists and lead times now of an unknown duration but possibly months? All because of this small increase in sales? We can’t track sales of gun accessories or ammunition the same way, but we do know (because we, ahem, ordered some ourselves and have yet to get any sort of confirmation about when they’ll ship) that magazines have disappeared completely, and so too has ammunition. That’s also an amazing thing – how many millions – probably billions – of bullets do you think were out there in retailers’ stores, in wholesale warehouses, and in factories? They’ve all gone. How many bullets a day are being made? How many more are imported? They all disappear faster than they come out of the machines. Can’t the entire world’s extra ammunition manufacturing capacity keep up with US domestic demand at present? This is the message for preppers, and it doesn’t apply only to guns. These days, there is no ‘surge capacity’ in our supply chain. The slightest blip in demand – or the slightest interruption in supply – and you suddenly find yourself stuck with the twin evils of shortages and panic buying, with the inevitable result that prices soar sky-high, encouraging more panic, more hoarding, and a total breakdown of the marketplace. We see this every time a storm threatens gas supplies. A region might have gas on hand good for 7 – 10 days of regular demand, perhaps, but as soon as a disruption is threatened, everyone rushes to fill their vehicles and any additional storage containers they have, emptying out the supply chain in a day or two. Or – do you remember the Japanese nuclear power reactor radiation leaks after the earthquake and tsunami in March 2011? Due to concerns about the radiation plume traveling across the Pacific and to the US, people rushed to buy Potassium Iodide tablets. But you couldn’t find a Potassium Iodide tablet, anywhere in the US, remaining available for sale. And the last few that did sell were going for ten (or more) times their earlier price, just a few weeks previously. The message to us is simple. These days, even mild disruptions to any supply chain can totally destroy the normal ‘rules’ of that product’s availability and pricing. This is due to ‘just in time’ ordering and shipping/delivery, and a carefully projected future demand that is synchronized to production. If that calculation gets out of alignment with the market, then drastic shortages will quickly result. And it may take a long time for extra production to come on-stream to provide more product to meet the elevated demand. These days, most things are produced in a complicated process with multiple dependencies. For example, a new pistol isn’t built by only one company, with the company ordering in slabs of solid steel as their raw material and shipping out finished pistols after doing all the processes in-house. Instead, a typical firearm manufacturer may do little more than assemble firearms from the finished parts which are ordered from a dozen different suppliers. One company might specialize in barrels. Another might do frames. Another might provide some types of springs, and a fourth company might provide other springs. A fifth company might provide screws, a sixth might provide some small castings, and a seventh might provide grips. An eighth company might make the magazines, and a ninth company will print all the instruction manuals and materials, while a tenth company will make boxes/cases for the finished firearms. An 11th company will provide oils and lubricants, and a 12th company will provide who knows what else. And – wait, that’s not all. Each of these providers of subassemblies and components are in turn dependent on their suppliers for sub-sub assemblies and other raw materials. And so on, all the way back to the mining company that digs the iron ore out of the ground and the oil company that pumps the oil that ends up as plastic, and the forestry company that grows the trees that becomes paper. You only need any one of these 12 or more suppliers to have a supply constraint with any of their, in turn, who knows how many more suppliers, and the ability to create a complete finished firearm fails. You only need one of these many different suppliers to be working at maximum capacity to mean that the rate of final production of completed firearms is limited to the speed of the slowest of the suppliers. We are talking through this particular example of firearms because it is timely and easily understood, and because we’re seeing the proof of it right now, in empty gun stores, and in used firearms now doubling and trebling in prices. But the concepts are as true for just about any other manufactured good as they are for firearms. The same constraints and restrictions and dependencies apply, and all the companies involved in just about any/all types of manufacturing are all working on the same concept of minimizing their inventories (both of raw materials and finished goods) and running their production lines at close to capacity (so as to get best return from their machinery investments). Here’s another example – these days, we have super-computers that can design planes or cars or just about anything else for us. They ‘model’ and simulate all sorts of different aspects of a design, and CAD/CAM processes have replaced huge big offices full of draftsmen. Instead of needing to build a model, test it, then analyze the results, you can input some variables into the computer program and have it do it all theoretically instead. The earlier process could take weeks or months for each test cycle, the computerized system can take a day or two. And when a new product is ready for production, new robotic assembly lines can efficiently and quickly reprogram and retool for the new final product and make them with much less human labor or issues. This is all true. So can anyone tell me why designing a new car today takes as long as it ever has, and designing a new model airplane takes many years longer than it used to? Now I’m not feeling personally panicked at present. Indeed, I’m thinking I might sell a few firearms and some boxes of ammunition right now! But there are a lot of people who are feeling panicked. Fortunately for us all, owning an extra firearm or two, and an extra case or two of ammunition, is not essential to our survival today. But who’s to know what the next item that suddenly surges in popularity might not be? The only thing we can be sure of is that if we don’t maintain a sufficient inventory of everything we need and might conceivably need, enough to tide us over whatever variation of Level 1, 2 or 3 situations (definition here) we wish to plan for, then we might find ourselves in a situation where the item we need is unavailable and can’t be purchased at any price from any source. We sort of know that in a Level 3 situation, all the existing supplies of ‘stuff’ will get used up in some uncertain period of time. But we are suggesting that the speed at which inventory of anything will disappear is very much faster than anyone might expect. Remember that with the gun shortage at present, this is not because there have been any reductions in new gun manufacturing and importing. Quite the opposite. You can surely guess that every gun manufacturer in the world is working overtime at present to make and ship as many guns as possible to the US. But even with the same or probably a higher rate of ongoing production, a modest blip in demand has destroyed the marketplace. As preppers, we can’t rely on outside help, or on outside supplies and sources. We have to plan for a future where what we have is what we have, and we can’t expect any resupply beyond that. What happens if your credit and debit cards stop working? The concept of a banking system failure is often thought of generically, together with other concepts such as, at the present, the ‘fiscal cliff’, and past things such as the S&L crisis, the mortgage crisis, over-paid greedy investment bankers, and other vague and hard to completely comprehend concepts that while clearly not good, generally have no immediate impact on us directly. Yes, it is true that all of these issues represent downsides to our current financial system, but few of them are, of themselves, potentially catastrophic. So let’s instead consider a risk which could indeed be catastrophic, and depending on its duration, could plunge the nation into a situation that might start at Level 1 but which could quickly become Level 2 (hopefully not reaching Level 3) (definitions here). Think about this – what would happen if your credit and debit cards stopped working? How much cash do you have in your pocket? How would you get some more? What would happen if the computers controlling the nation’s banking system were attacked and disabled? 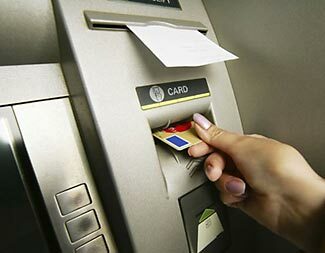 With all banking records and processes now being computerized, there’s clearly the potential for disaster if the computers stop working, and who wants to be the first to say that would be impossible? The immediate problem would be that we’d all run out of cash. How much cash does your family have in total? How long would that last you – a couple of gas fill-ups, a few trips to the supermarket, and that’s probably much of it gone. Maybe you think you could write a check. But who will accept a check when the bank is unable to accept it, process it, and transfer the money from your account to someone else’s account. Without their computer systems up, the bank won’t even know how much cash is in your account, so neither you nor someone you paid with a check could walk into your home bank branch and ask for it to be converted to cash while waiting. So, at an immediate level, commerce would grind to a halt. Now, let’s think about the derivative levels. It is one thing for you to run into difficulties when trying to buy $50 worth of gas or groceries. But what happens when the gas station or supermarket then needs to place an order from their suppliers for $50,000 of product? How do they pay for that? This question repeats up the distribution chain, and then loops around right back to you. Your employer somehow makes money by delivering a product or service to someone else. When that someone else can’t pay your employer as they usually do, how can your employer in turn pay you the weekly/monthly wages/salary you normally get? For that matter, even if they could pay you, how would they do that? With a bank auto-transfer? Not possible when the bank computers are down. Maybe with a check? That’s not going to do you much good either, is it! Could you take your $3000 check to the gas station and say ‘take one tiny corner of my check to pay for a tank of gas’? And what happens when the farmers don’t get paid for the crops and livestock, and can’t afford to then buy new seed, animals, food, fertilizer, and so on? What happens when the oil refineries no longer have money to buy raw oil from the Middle East or wherever? When we can’t even pay for natural gas from Canada? Part of the problem is that our economy is essentially cashless these days; indeed, cash has become so obsolete that many financial institutions have stopped reporting on or analyzing the actual amount of currency in the economy. This measure – referred to as M0 – has been an ever decreasing percentage of the total ‘virtual’ money that our economy uses – here’s an interesting chart showing the increasing discrepancy between M0 and broader definitions that include successively more and more virtual money. The difference between M0 and all the other types of ‘money’ is that only M0 has a physical form – banknotes and coins. The rest is nothing more than entries in computer systems, perhaps duplicated in the form of fancy ‘certificates of deposit’ and such like. An outage of the banking system computers means an outage of the rest of this money, too. Is This Likely or Unlikely? So, how likely is it that the banking system could suffer a sudden catastrophic failure? As a random event from nowhere, very unlikely. But as an outcome of a skillfully designed and directed computer hacker attack – that is an appreciable risk. Don’t just take our word for it. Instead, consider this article which quotes US Defense Secretary Leon Panetta who says, in October, that foreign hackers have the potential to take down our nation’s power grid, financial networks, and transport systems. He said that such an attack could ‘paralyze and shock the nation’, and further pointed to exploratory attacks against banks earlier in the year. He terms this a potential ‘Cyber Pearl Harbor’. His solution is, in part, to seek authorization to mount pre-emptive attacks against potential cyber-aggressors. Maybe that is a good thing to be able to do, although we’re actually not too sure about that. Most of the major cyber-terrorism sponsor countries (ie Russia, China, Iran, North Korea) are nuclear powers, and depending on what form our pre-emptive attacking might take, these nations could choose to respond in ways that could have even worse consequences than a cyber attack. In addition, how do you pre-emptively attack when the source of the cyber-aggression isn’t a nation/state, but rather a shadowy group of individuals, possibly living in our very midst, or else distributed randomly throughout the rest of the free world. Remember, there’s no such thing as distance when it comes to attacking computers on the internet. It is as easy to take down a computer (electronically) from the next room as it is from the far side of the planet. And – paradoxically – mounting a cyber-attack is a very low-tech process. All the hacker/attacker needs is a simple laptop computer and a modem or internet connection. So, much as Secretary Panetta might wish otherwise, the reality is that he most likely either won’t or can’t do anything to pre-emptively take-out cyber-aggressors prior to them in turn taking out our computer-based infrastructure. And the only surefire defensive measure is to isolate the computer systems that are being attacked. But that ‘cure’ is worse than the problem – isolating the computer systems means no more external sources of inputs and no more external outputs, either. No more computing network. No more banking system. You might think that the obvious solution is to keep a large supply of cash on hand. But that is not an adequate solution, because it only addresses one part of the problem. Just because you can pay the gas station $50 for the tank of gas you need doesn’t mean that the gas station can in turn pay the refinery the $50,000 it needs to pay for its next shipment of gasoline. The same at the supermarket, and everywhere else. Rather than stock up on cash, your solution is better to stock up on goods, so that you can survive for an extended period without needing to spend money, in any form, on additional supplies. You also need to assume your utilities will deteriorate in service – raw materials will be hard for the utilities to source, and if they can’t pay their employees, they’ll start to suffer absenteeism, made worse by the need for employees to start to focus full-time on their own immediate survival needs. Similarly, the food and other essential supplies at your normal retail purchase points will become in gravely short supply or disappear entirely. If the banking systems aren’t up and running again within a day, we’d view the situation as making it prudent and sensible to bug out entirely to your retreat. More freight is moved a greater distance in the US each year by rail than by any other method. The movement of people away from rural areas and into the cities has meant that food has to travel longer distances between the people who grow it and the people who eat it. The evolution from lots of small manufacturing companies to only a few mega-companies (in each industry) has caused a similar increase in distance as between where products are manufactured and where they are sold/consumed/used. We can no longer obtain everything we need in our lives, ourselves, by walking or driving to the actual sources of the things we need and buying them directly. We are reliant on other people, sometimes far away, transporting them to retail outlets conveniently close to us, and if those people stopped transporting the things we need, we’d not be able to go get them ourselves any more, because the distances are way too great. Our ‘advanced’ economy also means that, in general, we are using more and more manufactured or processed or complicated things in our lives, rather than living primarily off items and objects produced locally. Even if we could buy something we need locally, the chances are that the person who makes the thing we need is, himself, dependent on some raw material or essential ingredient that comes from far away. We all sort of know this instinctively, but have you ever worked out what it actually means. Here’s an interesting report about the nation’s rail system, and in particular, the table on page 6 is astonishing. Without considering the distance the freight has to be moved, if you divide the total freight moved around the nation each year by the country’s population, for the last twenty years the answer has been a fairly consistent figure of 40 tons of freight is transported, each year, for each person living in the US. This figure includes all sorts of things that we probably don’t even think about – the movement of fuel to power stations to create the electricity we use, for example, and not just stuff that needs to be moved to us for our consumption, but also the movement of stuff made by us, which is necessary for us to remain in employment. It includes the domestic portion of goods being exported and also the domestic portion of goods being imported. Our point is simply this. Think about the magnitude of 40 tons of goods per person per year. That’s almost a ton per week. It is 220 lbs of materials of all different sorts, sizes and shapes, moved every day of the year, for each person in the country. Some items are moved short distances only, others are moved from one side of the country to the other. Now ask yourself – what would happen if something interfered with our nation’s transportation system, making it difficult for all this material to be efficiently moved every day (34.2 million tons every day)? The answer, while unclear, is certainly not a positive one. Now ask yourself the next question – is our nation’s transportation system a robust and secure system that can withstand occasional outages and service losses, or is it precariously balanced and vulnerable? There are essentially five forms of freight hauling in the US. Rail moves 39.5% of the total ton miles, followed by trucking (28.6%), pipelines (19.6%) and water (12.0%). Air carries a mere 0.3% of total ton miles. So air freight is an insignificant source of freight movements to start with. Water freight is not something that can be appreciably grown – the few navigable rivers suitable for commercial barge freight are already being used for those purposes, and due to the slow speed of water traffic, it can only be used for some types of freight. Pipelines show a surprisingly large percentage of total freight moved, but they are clearly only suited for some sorts of products – ie liquids and gases. Pipelines are used to move bulk supplies of oil and gas around the country, but aren’t practical for just about anything else. This leaves us with rail and trucking for just about everything else. To a certain extent, it is fair to say that if there’s a reasonable sealed road, you can operate a truck on it, at least short-term (assuming there are no height, width, or loading restrictions). In theory, the same is true of rail freight – if there’s a rail line, you can operate trains on it. But let’s think some more about rail, which carries 39.5% of all freight (compared to trucking, which carries much less – 28.6%). Rail is clearly a critical part of our freight system, and its importance is growing. After decades of decline , about fifteen years ago rail freight experienced a turnaround, and has been steadily growing its share of long haul freight subsequently, in particular because it is such a cost-effective means of transportation. 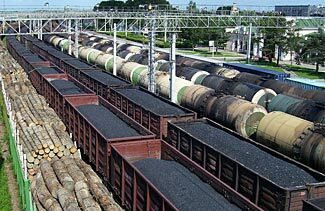 First, a freight railroad needs high quality track for the very heavy trains to move over. You can’t resurrect a stretch of abandoned rusting track, unevenly now misaligned, and with rotten cross-ties, and start operating freight trains over it immediately. You’d probably need to upgrade the rail to a heavier type of rail, you’d need to redo the track ballast (and possibly even the underlying track bed) and the ties, and the signaling too, before you could start running trains. There’s nothing impossible about doing that, but it for sure would take time. Our nation does not have many railroads these days. While there are about 140,000 miles of railroad track in total, much of this is on spurs, and there is not the same level of interconnected redundancy that there is with surface roads (of which there are 2.7 million miles of paved road plus plenty more unsealed road). Have a look at this map (which only shows the major lines rather than minor spurs) then look at your state and count the number of ways trains can enter/exit your state. If you live in WA, you have five paths, if you live in ID, you have six (or less – problems at key points inside the state could eliminate multiple paths in and out), if you are in MT, you have nine (or less), and so on. The relatively small number of main railroads is exacerbated by ‘choke points’ on their routes – either tunnels or bridges. In both cases, the loss of a tunnel or bridge would close a rail route for potentially many months or even years. Okay, so maybe if a group of terrorists worked really hard, they could destroy 100 or 200 key bridges and tunnels that would bring the nation’s long distance rail traffic to almost a complete halt. You can understand that, and you will probably also discount the likelihood of that occurring. But there’s another entire level of vulnerability that you’re probably not even thinking of. One of the big differences between rail and road traffic is that whereas road traffic is ‘self guided’, rail traffic has to be guided all the way. The drivers of cars and trucks always know which side of the road to drive on, and rely on maps, GPS, and road signs to know where to turn to get to their destination. Not so for rail. Each train relies on a network of signals to tell it when it is safe to proceed or when it must stop and wait (even though the train’s driver might not know the reason for the delay or the rationale behind the ‘all clear/proceed’ signal), and every train relies on each switch that it crosses being set correctly, so that it is always switched onto the right track. Signaling is an essential part of the safe and efficient operation of a rail system. Most accidents (and nearly all of the preventable ones) that occur on a rail network are based on signaling failures. Guess what. Much/most of this control is managed by automated systems and computers these days. If the computerized controllers were infected with a malicious bug, they might start switching east-bound trains onto tracks currently being used by west-bound trains, creating massive head-on collisions. If the two oncoming trains were also controlled and timed so that the collisions would occur in cities, and if one train had inflammable or explosive materials, and the other train poisonous materials, the effects could be catastrophic. In addition to setting switches incorrectly, a computer attack on railroad controllers could also misreport their status to the humans who do keep an overall supervisory level of control over their railroads. They might think that a switch was set to ‘straight ahead’ whereas in reality the switch was set to ‘divert’. Or maybe a switch could wait until one second before the train arrived at it to then switch over, at which point it would be too late for any override or other human response. Of course, a switch that flicked over halfway through a train passing over it would simply derail the train and block the track for however long it takes to clear it. It doesn’t necessarily take a railroad long to respond to and clear a single incident, but what if every train get derailed – how long to solve all those problems? More benignly, the control systems could simply set all signals at stop. The rail system would be paralyzed, and a return to manual control would massively reduce the volume of freight which could be transported. Much of our rail system is single track – one track is shared alternately by trains traveling in opposite directions, a situation which requires careful sequencing and control. Our point is this – there are some single points of vulnerability and failure that could essentially zero out our rail system if they were to fail. And it isn’t just us hypothesizing about this – read this report where the US Secretary of Defense, Leon Panetta, specially refers to the vulnerability of railroads to computer/cyber attack. Indeed, he talks about our nation being at risk of a cyber-Pearl Harbor. Let’s think things through a little bit more. If our rail system fails, we have only one fall-back option to replace the trains – truck based shipping. But we don’t have the trucks available to suddenly handle a 150% increase in freight. For every ten trucks on the road now, we’d need to add another 15 – where will they all come from? And also, what would happen to our already congested roads? If they suddenly had to handle 2.5 times the number of trucks there already are, what do you think will happen to congestion and travel times? Even if we could miraculously get the extra trucks needed, the impact on our economy would be enormous. Trucked freight costs five to ten times more than railed freight (per ton/mile). Oh – and when we said, above, that road transportation is self guided, we’re only half right about that. Think about driving anywhere – sure, you’ll follow street signs and use common sense, but there’s something else you’ll come across sooner or later. Traffic lights. As you know, even the failure of one single traffic signal can screw up traffic for blocks and blocks, and even if a policeman manually directs traffic, he never seems to do as good a job as a traffic light does automatically. All traffic lights are computer controlled. Some are semi-independent, controlled on a fixed/demand driven process by the traffic around them, others are moderated by central computer systems, but all of them use computer controllers. What happens if they stop operating, or if they start misbehaving? At best, you’ll have gridlock across the nation. At worst, if traffic lights start going green in all directions at once, you’ll have accidents galore. So, to circle back to our opening point. We all rely on the safe and efficient transportation of 40 tons of freight a year to support our lives and our lifestyles. And while those 40 tons of freight comprise a massive variety of different products and modes of transport, both in your local area and elsewhere in the country, with a chain of dependencies that we can’t even start to guess at, the uncomfortable reality is that just a very few failures in a limited number of key parts of the national transportation system could cause the entire system to come falling down. Add to that the ‘just in time’ delivery system which relies on the ability of goods to always arrive where they are needed, at the time they are needed, and with little or no reserve supplies kept anywhere, and the net result could be that a failure of the transportation system 1500 miles away from you ends up with life threatening shortages of essential items in your area, too. Being reliant on the proper movement of 40 tons of stuff a year is a huge dependency, and one we can do little to directly control. Are you worried about this? Defense Secretary Leon Panetta is. Don’t you think you should be, too? 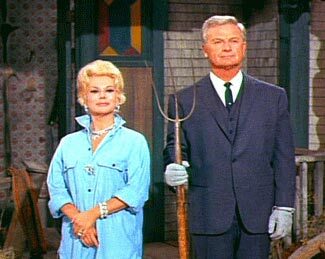 The popular 1960s tv comedy Green Acres told of a city slicker couple’s challenges adapting to the countryside. Don’t let it put you off considering a similar strategy. Most preppers seek to cling to their current lifestyles as long as possible. This is as true of the surgeon with his $500,000+ income as it is an office or blue-collar worker with a $50,000- income. So people prepare for an alternate life and alternate world that would greet them if/when they ever needed to respond to a Level 2/3 scenario and evacuate to their carefully prepared retreat, while maintaining their current vulnerable lifestyle. Their preparations embody a mix of anxious concern and desire to retain as much of life’s current experiences and perceived benefits as possible, for as long as possible. Don’t get us wrong. This is understandable. We all have many ties that bind us to our current lives and communities. There are our jobs, of course. Maybe we have children (or, for that matter, aged parents) who also cause us to want to stay in an area. There is our established network of friend and contacts, our current reasonably optimized lifestyle and residence, and, of course, there is inertia, resistance to change, and fear of the unknown. There is also the fact that most of us currently live in medium/large sized cities, which for all their vulnerabilities and challenges also provide great convenience in terms of a wider range of shopping opportunities, entertainment, health-care, education, and just about everything compared to what we’d experience in the typically much smaller communities we’d move to if bugging out to our retreat location. We repeat. These are all valid points, and for many people, it makes sense to continue to lead their present life as best they can, while also prudently preparing for a possible future breakdown in current lifestyles. In these cases, you of course also need to consider how you’ll get to your retreat WTSHTF and what the ‘trigger events’ are that would cause you to start such a process. There’s no point in having a retreat waiting for you if you can’t get to it; and if an EMP disables your vehicle, or if an earthquake or other natural disaster closes the roads, or if a mass exodus of fellow citizens clogs the roads to the point of impossibility, the issue of how to get to the retreat suddenly changes from already potentially challenging to a massive problem (but not one without solutions). We have an entire section of this site with helpful articles about ‘bugging out’ and evacuating to a retreat. There is also the consideration that if you did suddenly need to withdraw to your retreat, you’d be arriving ‘cold’. Sure, you might have a supply of long-life seeds to make a start on gardening whenever the next growing season begins, and sure, you probably have plenty of dried and other food stored to tide you over until you get closer to self-sufficiency, but the fact remains that you’re suddenly jumping into the deep end of the pool, with perhaps untested skills, untested resources, and untested just about everything. This is a bit of a worry. If you’ve not had some seasons of crop planting, you really don’t know what to expect in terms of water and fertilizer, soil quality, bugs and diseases, yields, and so on. You don’t know which crops will grow best and which don’t really work as well as expected. You’re not sure if your projections and assumptions are valid or not. You’re also appearing ‘out of nowhere’ and hoping to be accepted into whatever local community exists in the area at a time when all such communities will become very inward looking and resistant to welcoming in more outsiders – unless, of course, such outsiders bring with them definite skills or resources that will clearly benefit the community. There are strategies and approaches to managing these considerations. None of these issues are ‘fatal’ or without solutions. For example, some people have caretakers already residing at their retreat location, with the caretaker or caretakers managing the farming of the land and other aspects of the retreat, so that you’d arrive to find successful ongoing sustaining operations underway, and an established history and knowledge of what grows and how to grow it best. If a location is well-chosen and being well farmed, these caretakers will pay their own way and maybe even generate a bit of profit too. There’s no downside and a lot of upside to that type of situation. If you choose the lower cost option of joining a Code Green Community, you’d also be moving to an area that was already underway with farming operations, and you’d simply help ramp up those activities (and possibly also compensate with more manpower due to the use of machinery becoming more constrained). This addresses many of the problems of moving to an area ‘cold’, with no contacts, no community, and no experience and knowledge of what to expect. Even if you do simply arrive ‘cold’ to your own retreat, that’s not the worst outcome, particularly if you are well stocked with supplies and have been careful in how you’ve projected your future sustainability activities so as to protect yourself from any nasty surprises. But there’s another alternative too – the one we hint at in our title above and discuss below. Bear with us as we set the scene, then reveal the solution. Many people have never really stopped to question the assumptions that have defined, driven, and constrained their lives to date. Certainly, our modern society is a self-sustaining and self-reinforcing concept, with huge vested interests urging us to conform and consume. Imagine what would happen if people stopped buying new cars as regularly as they currently do. Imagine what would happen if people stopped eating out as often as they do. If they stopped buying designer clothing and up-market brand accessories. If they downsized their home. If they stopped wasting so much food that is thrown out uneaten. And so on. If they abandoned the siren-call of fashion and wore generic clothing for multiple seasons, repairing as necessary, rather than changing wardrobes every year. Our lives have become trapped in a spiral of diminishing returns. We have to work harder to pay for the time-saving indulgences we both enjoy and also need due to working so hard. The economy as a whole relies on people continuing to spend, spend, spend way more than they actually need to. If we – and everyone else – stopped spending so much, the economy would collapse like a popped balloon, and rather than all being better off, we’d find our jobs disappearing and we’d end up being worse off. We don’t wish to sound ‘counter-culture’, and indeed, we engage in many of these activities ourselves. But when we talk about the vulnerabilities of cities and modern society, there’s this underlying economic vulnerability too – our economy, in the US more so than just about anywhere else, is built on this assumption of ongoing conspicuous/unnecessary consumption. We have more retail stores per head of population than any other country in the world, we eat out more than any other country, we have more, newer and larger cars than any other country, larger houses, and so on. Some of this is benign and good and is a happy result of our nation’s extraordinary economic success and strength over the last 100+ years. But some of it is the result of careful marketing and social manipulation, subtly encouraging us to view things as ‘must have’ items when in reality they are very optional, and then creating huge economic drivers (like the auto industry) which rely on people continuing to embrace the unnecessary levels of expenditure and consumption. Few people have stopped to question the assumptions that are automatically made about their lifestyles. Whether it is social pressures (‘keeping up with the neighbors’) or personal indulgence or whatever else, we happily follow in step with the rest of society, spending more and working more to pay for the extra and unnecessary expenditures we make. But all of this points to a growing economic vulnerability – our nation’s overall economic activity these days seems to be in largest part either the government deliberately spending money it doesn’t have or else our own spending money we don’t really need to spend. Things of real value are being neglected, while things of abstract value are being worshipped (Is/was Facebook really worth $100 billion – a website that actually contributes nothing to our essential lives?). We’ve built a house of cards, and there is a growing risk it could all come crashing down. As we prep for the unknown future, we are thinking primarily in the terms of disasters that are national – or at least, extensively distributed over a number of states – in scope. A complete loss of the power grid. An EMP. An influenza pandemic and the breakdown in society that could follow. An asteroid strike. Or whatever else. But there is another type of possible disaster, too. A personal level disaster that impacts only on us. The loss of our job, and possibly the inability to get a replacement job. This could happen for any number of reasons, most outside our control. All of a sudden, we’d find ourselves with the lifestyle that assumes ongoing oversized paychecks every month, but without the paychecks. Sure, we’d cut back, but we still would be obliged to make the payments on any debt we have (car loans, credit card balances, etc). We’d still have the monthly costs of our primary dwelling. And if we’re no longer working, once the unemployment benefits ran out, we’d have no income source at all until such time as we could land another job. We’re merely inviting and encouraging you to think about the implications of making a major lifestyle change, on your own terms and timetable, not after it is too late, but when you still have options and can fully optimize what you’re doing. What say you sold off your current house (if you own one) and moved to your retreat. What say you quit your current job, or at the very least, downgrade it to a limited amount of part-time tele-commute type work from your retreat. What say you cut down or eliminate entirely much of the unnecessary extravagances in your life. Take a zero off your clothing and shoe budgets, for example. Take a zero off your eating out and entertainment budgets too. Swap expensive nights out at restaurants, shows and clubs for inexpensive nights in with good friends and family – the pleasure you’ll derive will be the same, but the cost will be much less. Keep cars for 150,000 miles or more. Borrow books and videos from the local library. Cook food from raw ingredients, rather than buy it pre-processed and pre-cooked. And what say you become a Code Green community pathfinder now. Or perhaps take up or create some sort of small country business type activity in the nearby town or village your retreat is close to. Or become a farmer and start working your land; maybe growing crops, maybe raising animals (or both). Your outgoings would massively collapse down, so you wouldn’t need to earn nearly as much to keep ahead of your bills. You could choose to adopt a more leisurely, relaxed type of lifestyle where quality of life becomes more real and possible. What we’re suggesting you evaluate is creating a sustainable quality lifestyle now – a lifestyle that would change only somewhat if TEOTWAWKI should occur. You’d not only be fully prepped with very little at risk or vulnerable, but you might discover a peace and contentment that has been lost sight of in many people’s lives and lifestyles. There’s nothing revolutionary about this suggestion or this lifestyle. You don’t need to become a hippy, grow a beard, and wear a peace symbol round your neck. You simply switch from being a city-dweller living a city lifestyle, to becoming a country resident living a country lifestyle. People have been living semi-self-contained and semi-self-sufficient lifestyles for hundreds of years. It has formerly been the norm that a farmer grows enough food for his own family and some surplus to trade with at the town market for the other things he can’t grow or make himself. It is only in the last 150 years or so, since industrialization and mass production, that people have shifted from directly making the essentials for their life and sustenance, and now working in ‘derivative’ jobs removed from the actual farm land or factory floor. It is still possible to lead a good life with a ‘real’ rather than ‘artificial’ job, creating real goods or providing real services, rather than being some sort of abstract ‘knowledge’ type worker. Oh, we’re not knocking knowledge workers per se (guess what we are!) but merely pointing out that much of our society these days is involved in jobs that don’t actually ensure the strength, security and success of the society. We’re not expecting you to stop at this point and say ‘Oh my gosh. You are so right!’ and immediately chuck in your job, and move tomorrow to the countryside. That would be foolish. But we are asking/suggesting you don’t do the opposite – you don’t instead sneer and say ‘That’s the stupidest thing I’ve read today’ and click away from the site, never to return. Instead, think about the concept. Let it settle and develop. Occasionally think about how you could change or restructure your life, and then, on a planned basis and on your own terms, you can make the changes in your life to enable this shift of life style. This could be the best type of prepping at all – changing your life now, on your terms, so that whatever happens in the future, you’ll not be as massively affected by it as you would be with no changes. Initially it will be ‘other people’ and ‘bad people’ rioting and looting. But within a week or two, it will be your neighbors, too. We came across an interesting article on a survivalist blog. The writer said he believed that too many people are being too negative in terms of their projections about what will happen after TEOTWAWKI. This writer spoke about his belief in the basic goodness of the American people, and offered up various high-minded platitudes to this effect. As well as platitudes, he also described in some detail a scenario that he believed would apply. Basically, it was the ‘neighborhood watch on steroids’ concept, where the residents in a neighborhood all banded together to defend themselves against roving gangs of looters and rioters. A mean-minded person would point out that his reference to roving gangs of goblins already acknowledged that cities would become lawless to a greater or lesser extent. But let’s not score points through rhetoric, and let’s concentrate instead on the viability of smaller neighborhood communities managing to keep law and order within their own cul-de-sac or apartment complex or gated community or whatever. He added the comment ‘around where I live, there are more rifles than people’; that may or may not be true about where you live, but it doesn’t really matter and obscures an appreciation of the issues that do matter. Let’s simply agree with this optimistic view of the future – that you and your neighbors have lots of weapons, are decent honest people, and you all effectively band together harmoniously and create your own micro-community and safe zone, keeping the goblins away. By this we simply mean, what happens when food starts to run low in your little micro-community? We see three breakdown events occurring in the days after the creation of your neighborhood cooperative. The first level of breakdown will be when your tiny self-defense cooperative is first formed. What’s the betting that part of the deal will be the organizers saying ‘We need to join together and pool our resources for our shared common good’. Now that all sounds fine and dandy when they’re saying ‘We all need to take turns watching out for raiders and repelling them’ but the chances they are also saying ‘And let’s pool all our food and other survival resources’. So right from day one, you’ll be under pressure from your fellow law-abiding neighbors to share away everything you have to help them. In return for this, they are offering additional security – ostensibly from others outside your neighborhood, but the unwritten unstated ugliness is you’re also getting security from them, too. However, let’s say this is not a problem. Maybe you are all equally prepared, so redistribution of all your supplies has little effect. But now for stage two. Some people in your community have strangely used up their share of the pooled community supplies much faster than others. Are they secretly hoarding food? Eating twice as much as anyone else? Or just being wasteful? Whatever the cause, your community and you now have your second social crisis. Do you reward these people’s bad behavior and give them more food – especially because, at this point, everyone’s supplies are now diminishing. With any measure of remaining civilization, this is almost certainly what will happen, because not only will some people be lobbying for more food, half the other people will also be looking ahead to the point where they too will be needing support from anyone who still has surplus food. So they’ll support the concept of daily redistributions of food based on need, because they see themselves becoming net beneficiaries of the policy, too. A bit like taxing a few wealthy people to feed the many poor people, right? Besides which, while you might have had to shoot at and maybe even hit looters attempting to attack your community, they have all been strangers at a distance, and there’s been a life or death, them or us, element to the encounter. But are you to let one of your neighbors starve in front of you? And will they just passively starve while you continue to eat, or will they fight you to get your food? The outcome of this second breakdown is almost certain – you give up still more of your own prepared supplies in exchange for a little bit more peace and safety within your community. Now for stage three, and this is the point where we feel we must surely ‘win’ the argument (we use quotes, because we wish we were wrong, but we fear we are right). You’re now at the point where everyone in your community group has exhausted their food supplies. What do you do now? Your choices are starkly simple. You stay where you are, and slowly starve to death, or alternatively, you do whatever it takes to get additional food for your friends, your families, and yourselves. This is the point where all community members, of all communities, have no choice but to become ‘lawless looters’ – except that it won’t just be empty stores you’ll be smashing into to steal food from. The stores will already have been emptied, days or weeks ago. The only places where you can get food now are places where people still have food and are protecting their food from people like – yes, from people like you. What do you do when your polite request for a gift of food is rebuffed? What do you do after you’ve offered to pay them with money, with valuables, with anything at all they care to ask for, and they’ve still refused to sell/exchange even a single food item? Most people will manage to become morally outraged at this, and so will then see what happens next not as their own transition to a lawless looter, but instead, they’ll see themselves as morally empowered to fairly redistribute the remaining food and to stop selfish people from illegally hoarding more food than they could ever truly need. These people will not see themselves as killing the current lawful owners of whatever food remains. They’ll see themselves saving the lives of many others when they secure the food and redistribute it. We agree with the person who wrote the positive heartwarming article. Many communities will band together to create isolated pockets of safety where the rule of law prevails. Maybe even entire towns and cities will do so. But what happens when the food runs out? Let’s assume there’s less than a week of food for the community. Maybe on half rations, that will keep people reasonably healthy and comfortable for two weeks. But if there’s no clear sign of food resupply coming any time soon, at some point people will be forced to choose between taking food by force from wherever they can find it, or passively dying of starvation in their dwellings. A starving person has no choice – they have to do whatever it takes to find food. Probably the total collapse of society doesn’t occur instantly. Depending on the nature of the Level 2/3 event, it may take some days or even weeks for a clear understanding of the changed world to be broadly accepted. Maybe the authorities will succeed in maintaining order to start with. But police and national guardsmen have to eat, too, and so do their families. This sets in place another no-win situation. Either the security forces are given food while the rest of the population starves, or else the security forces starve alongside the population as a whole. In the former case, the alienation between the communities and the security forces will grow to the point where ordinary people will no longer feel inhibited at revolting against uniformed officers with guns and badges. In the latter case, the security forces won’t hesitate too long to join in the lawlessness themselves, because if they don’t, they’ll die. Things might slowly decay over the course of a week or two – maybe even three or four, but if populations can’t eat lawfully, they’ll do whatever it takes to get food, any way they can. And because of the very nature of cities and our country today, there is no way that urban concentrations can become self-supporting. Some cities have a million or more people, and little or no food growing resources within 100 miles. Do you know how much food a typical person needs to eat every day? Let’s say, on low rations, they need half a pound of solids (plus lots of water). That is 500,000 lbs of solids every day – 250 tons of food a day to support a million people. Where will 250 tons of food a day come from? People can’t start planting gardens today and harvesting enough food to live tomorrow. Apartment dwellers can’t do it at all. People with yards would need seed, fertilizer, and patience – what say the Level 2/3 event comes just after the end of a growing season, with perhaps 200 non-growing days now to wait through before seed can be sown and crops started? Without the promise of adequate resupplies of food, there is no avoiding this outcome. Level 3 events, by definition, imply no resupply for over a year, Level 2 events for somewhere between some weeks and a year or so. 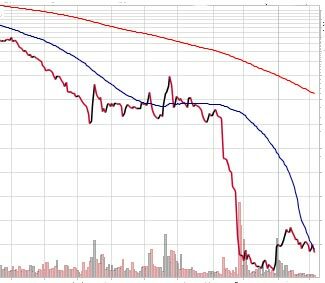 The collapse will come, at a rate determined by the remaining supply of food and the certainty of future resupply. The cities will become totally lawless and anarchistic, and the former city dwellers will necessarily stream out from the cities in their essential quest for food. These people will stop only when they find food or die. Prepping for a Level 2 or 3 event must start from the decision that you will abandon your urban residence and flee to a safer retreat, far from urban concentrations of people. Stockpiling food in an urban location will only result in it being taken from you and you finding yourself no better equipped to survive than the unprepared people all around you. You must develop a plan to leave the city and to live in a place where you have stockpiled food and where you can transition to a self-contained and sustainable lifestyle. City living does not, will not, and can not allow for this. Are We Being Too Optimistic? You might think this article is negative – perhaps even too negative. So please now consider reading an article based on comments from a veteran police officer, but if you don’t have the time to read the entire article, its title will give you a clue as to what it says : Cities Will Collapse Even Sooner Than We Fear. What would happen to you if the bottom suddenly dropped out of the economy? There’s a reason economics is called ‘the dismal science’. Much of economics is not at all scientific. It is imprecise, unrepeatable, and based on each economist’s personal value system – they say that if you get ‘n’ economists in a room, you’ll end up with ‘n + 1’ opinions about the economy and what to do about it. We’d never have recessions, depressions, slow-downs, crises, or everything else bad if economics was an exact science. So predictions of upcoming economic doom and gloom should always be viewed with skepticism (or perhaps with optimism, in the hope the predictions are more likely wrong than right). But just because economists seem to be wrong more often than they’re right doesn’t mean that our economic future is guaranteed to be trouble-free and positive. Indeed, at present, it seems we’re busy barely dodging economic bullets at a much greater rate than normal. For example, will the EU and the Euro collapse? The last year has seen a steady stream of articles grimly predicting its collapse, followed by reports of political saves guaranteeing its future. Who really knows what will happen. What about China? The storm clouds also hang over China on a regular basis, with commentators saying that China is about to go into a ten plus year period of decline or zero growth (either of which would cause extreme political risk for that country’s leaders). On the other hand, even if it is ‘business as usual’ in China, if that country finally revalues its currency up to where economists tell us it should be, we’d lose our source of low-priced goods, one of the few bright things on the US economic horizon this last decade or two. What would Walmart do if it could no longer buy just about everything at extraordinary low prices any more? What will we all do if the price of gas continues to go up? Are our own country’s economic problems solved by more deficit spending, or by less? Some people think one, others think the other, and the only two things that are certain is that ‘more of the same’ is not the right approach, and that both the ‘more spenders’ and the ‘less spenders’ can’t be simultaneously correct. There are lots of things that might go wrong, economically, either for us personally – ie, we lose our jobs and can’t find appropriate alternate employment – or for the country as a whole – ie, lots of people lose their jobs and those of us fortunate enough to keep them have to accept pay cuts. Here’s just one example of potential doom and gloom economic scenarios being discussed – although this article starts off with the scary headline about the economy facing a ‘fiscal cliff’ but doesn’t really build on the promise of the headline, and instead talks not about falling off a fiscal cliff, but hoped for best case scenarios instead. As we’ve said elsewhere, you’d not be reading this blog if you base your life on hoped for best case scenarios. So the ongoing level of potential economic disasters that are being discussed, especially when set alongside our far from resilient national and world economy currently, have to be noted. What would you do if you lost your job? The thing is that much of our prepping pre-supposes an ongoing supply of money to cover the costs of our preparing for future adversity. It is possible that in time, a well prepped household will reduce its outgoings and its reliance on income continuing to come in, but until that point, you definitely need money. Furthermore, a future situation where you can ‘live off the land’ doesn’t mean you just relax and take it easy all day – you’ll be working as hard as you’ve ever done, but at practical tasks such as producing food and maintaining shelter. And even in such a case, as long as there is a ‘rest of the world’ outside of your retreat, you’ll still want to occasionally get comfort and convenience items to help your life. One practical suggestion, such as it is, for what to do if you lose your job. First, if you’re married or in some other stable domestic partnership, spread the risk. Don’t both have the same type of job, and definitely don’t both work for the same company. That way you hopefully won’t both have your income disappear simultaneously. Secondly, give some thought to how you can develop a second income – perhaps from a hobby you have. Whatever your interests are, the chances are you can see some ways to use your knowledge and contacts in that field into a money-making activity. It doesn’t have to make you a lot of money while you’re fully employed, but it is good if you can at least do some ‘proof of concept’ trading so you know that, if you need to, you can grow that activity in the future. This also gives you the start of some trading history and gives you a chance for word to slowly spread and for your reputation to slowly grow, so if/when you need to make it your main income source, you are not starting from nothing. Third, you should focus in, now, on how to cut down your monthly outgoing costs and how to maximize your ability to achieve economic independence. Your prepping will help you reduce your energy consumption and cost, and should also help you reduce your reliance on expensive pre-cooked foods and enhance your ability to cook good quality food from fundamentals at much lower costs. Delay buying a new car by a year (or two, or three). This one thing alone will make a huge difference to your monthly outgoings. Just a few lifestyle changes can help you appreciably reduce the amount of cash you need each month to live on, making you much less vulnerable to economic hard times, and freeing up your remaining income to invest in prudent preparing. 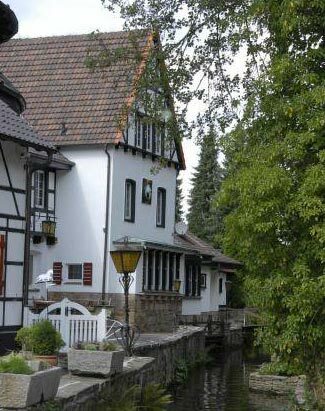 The ancient town of Marl, Germany, seems to have little linkage to Detroit. Read how a fire in Marl is impacting on global auto production. There was a fire in a factory in the tiny German town of Marl, in a factory belonging to Evonik Industries, on 31 March 2012. This is hardly earth shattering news – on the same day, there were probably fires in your own home town too, and countless others elsewhere in the world. But, as uninteresting as this fire in a far away place may seem, today we live in a global village. Nowhere is far from anywhere else in terms of trade and dependencies. This was hinted at, in a less surprising and more intuitively obvious manner, when the Japanese earthquake and tsunami last year disrupted the production of various computer and home electronic items – it is rumored to have even delayed the release of the latest versions of Apple’s iPads and iPhones. But we accepted that – after all, the tsunami impacted massively on much of Japan and elsewhere in the world as well, and the radiation clouds from the damaged reactors circled the globe. It seemed appropriate that the outcomes of such a huge global event should in turn be massive and global in scale. But now, back to the small factory in the town of Marl (population 90,000). This one factory produces between a quarter and a half of the world’s supply of a chemical which is required in the manufacture of automotive brake and fuel systems. Without it, cars and other vehicles can’t be completed. How long will it take to get the damaged factory producing again? At least three months and maybe longer. So for three months or more, the world’s automakers, no matter whether they be in India or China, Europe, Mexico, or the US, will only be able to make half as many vehicles as they had planned on making. This illustrates the lack of ‘fault-tolerance’ in our modern society. So much of what we consume and rely on every day ends up having critical and non-redundant components. On the face of it, the world’s auto manufacturing industry seems to be distributed and fault tolerant. You could close down an entire country’s manufacturing plants and those in the rest of the world would have little trouble compensating for the loss of production elsewhere. There are probably hundreds of different manufacturing locations, in tens of different countries, all around the world. But when you drill down beneath the surface, you find surprising critical elements such as is now being exposed by the fire in the Evonik Industries facility in Marl, Germany. One single supplier provides an essential ingredient for half of the entire world’s production of automobiles. This is an outcome that few people would ever anticipate or expect. But it is a situation that is increasingly possible – increasingly probable – to be repeated, in all sorts of other industries and finished goods. Industrial consolidation and specialization has concentrated the manufacturing process into fewer and fewer companies and factories, and just-in-time deliveries and inventory have effectively zeroed out the former inventory buffer to compensate for occasional interruptions in supply. Fortunately, a halving in the global production of automobiles for 3 – 6 months is unlikely to change the world as we know it, or to impact on our lives much at all. But what about other things that are more essential to our lives? For example, disruptions to our electricity grid that would require the replacement of major transformers – it takes three years from ordering a major transformer to it being delivered, and being as how the US no longer has any manufacturers of transformers in-country, we’re also reliant on another country and its companies choosing to do business with us – something that can’t be taken for granted in perpetuity. This is why we prepare. Because so much of what we take for granted are not things that truly should be taken for granted any more. And, if a disruption does occur, the time it takes to restore things back to normal may be substantial, and potentially life threatening. More information about the Marl fire and its impact on the auto industry here.